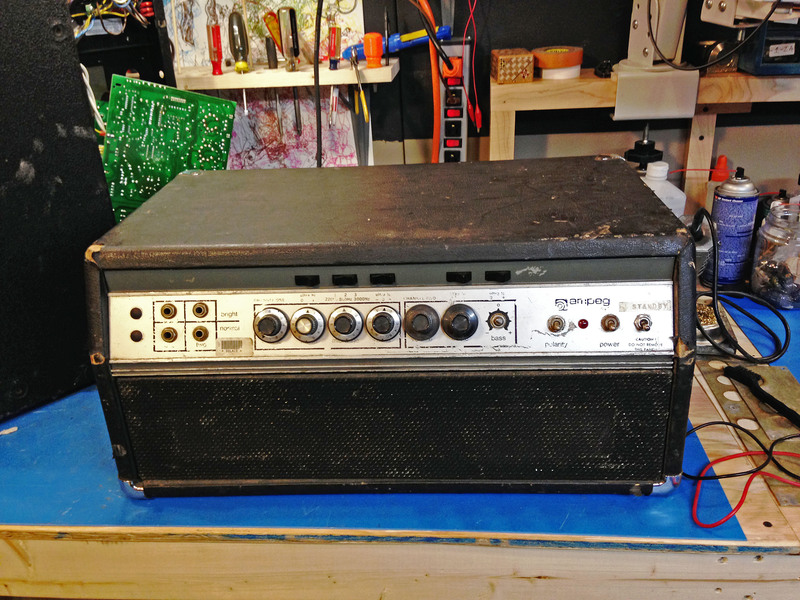 Ampeg SVT from back in the day, probably early 70s. One of the big dropping resistors in the power supply broke its solder connection after about 50 years of vibration. The intermittent connection burnt the circuit board a little but it was not a big deal to patch back up. SVT-CL in the background which is not as easy to patch back up. Old, old, old 12BH7 tubes that are the drivers for the 6550s in the output section were very weak and had exhausted most of their silver getter material. 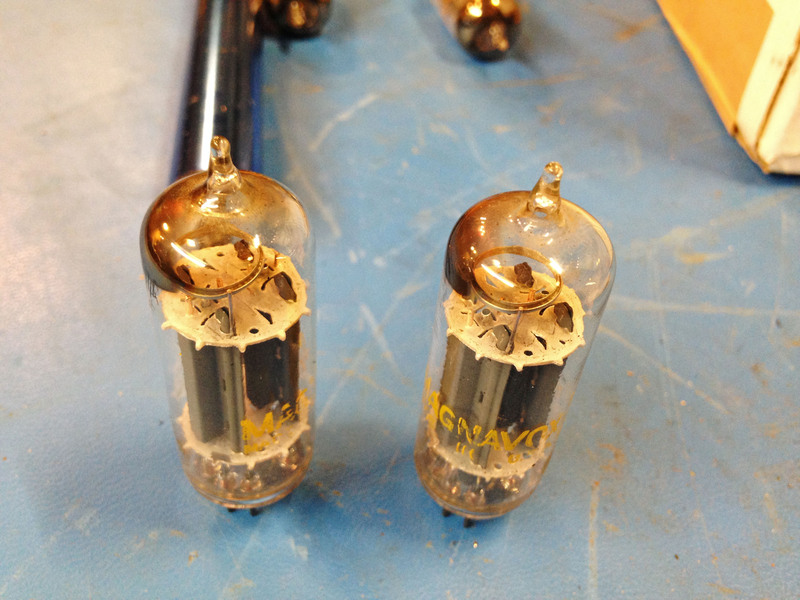 Also had a few old 12AX7s in tube sockets that were supposed to have 12DW7s. 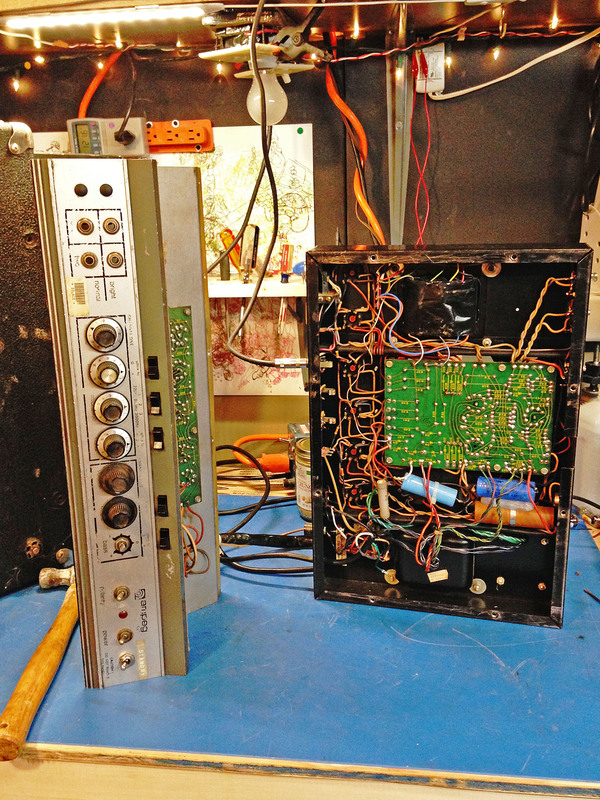 You can pull the chassis and get the preamp and power amp/power supply out to work on. 90% of the time problems will be in the output section or power supply. Can be hard to bias these amps because monitoring current draw for 6 tubes isn’t easy. There is a 1 ohm cathode resistor that allows you to bias the amp to .072V (~24mA current draw per power tube with ohm’s law conversion) but it really only gives you an averaged current draw of three tubes on either of the push/pull side. Most of the time this is ok, but it is possible some tubes are weak or strong, so the average is pulled up or down to what it needs to be but some tubes are working harder than others. This is where the bias probe comes in handy.